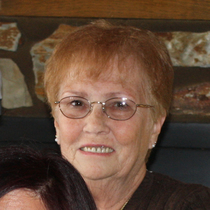 Mrs. Kitty Mercer, 78, of Fountain City, passed away on Tuesday, September 4 at Reid Health. She was born on March 5, 1940 in Cincinnati, Ohio to John T. and Clara Metcalf Ellis, both of whom preceded her in death. She was a 1958 graduate of Richmond High School. She was united in marriage to Harold Mercer 56 years ago on August 3, 1962. Kitty enjoyed a career with GTE Verizon from 1977-2002. She loved to watch her grandchildren compete and perform in their activities and dog-sitting. She was an avid Indiana Pacers fan. Kitty will be missed by her husband, Harold; children, Traci Ross and her husband, Rick, Kerri Silvers and her husband, Jack, Mike Mercer and his wife, Megan; grandchildren, Cory Ross and his fiancée, Erin Necessary, Jordan Ross, Jarod Silvers and his wife, Emily, Connor Silvers, Jagger Silvers, Lainey Mercer and Paxson Mercer; great-grandchildren, Parker Ross, Harlow Ross, Kennedy Beaty, Easton Silvers and Charleigh Silvers; sister, Pat Byrket and her husband, Jerry. Pastor David Anderson will conduct a funeral ceremony at 12:00 noon on Saturday, September 8, at the Smith-McQuiston & Webster Funeral Home, 321 US 27, Fountain City. Interment will follow in Willow Grove Cemetery. Family and friends may gather for visitation from 10:00 a.m.–12:00 noon on Saturday, September 8, at the funeral home. Memorial contributions are encouraged for the American Cancer Society, 5635 West 96th Street, Suite 100, Indianapolis, IN 46278 or online at www.donate.cancer.org.